Every day of our lives, each of us is surrounded by plastic parts produced by the process of injection molding. Examples are everywhere, and include keyboards, tooth brushes, car components, toys, television components, make-up packaging and all kinds of products used in the medical industry. At Craftech Industries, we injection mold a large variety of plastic fasteners and custom parts. We uncovered a video by Bill Hammack at the University of Illinois which does a thorough job of explaining what injection molding is. Enjoy! At Craftech, we believe that high quality molds are absolutely critical to being a good supplier of molded parts. The following video gives the viewer a good overview of how injection molds are built. (Btw, you may notice that the video refers to “mould” instead of “mold.” “Mould” is the British spelling and “mold” is the American.) Enjoy! Craftech Industries is uniquely positioned to injection mold AND machine plastic fasteners, having built molds for thousands of different components. 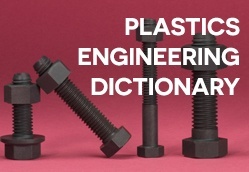 Looking for more information on plastic manufacturing? Download our new dictionary!